So how was your weekend? I enjoy mine very much. My husband had Monday off and we spent it together during the morning while the kids are at school. We went to have breakfast to a restaurant and then went home to watch "The hunger games". I wanted to watch it even since it was on the Movie Theater but we couldn't, but yesterday, popcorn and all, we did. We needed the time alone so bad! I also got time to finish some of the works in progress that I had in my table! 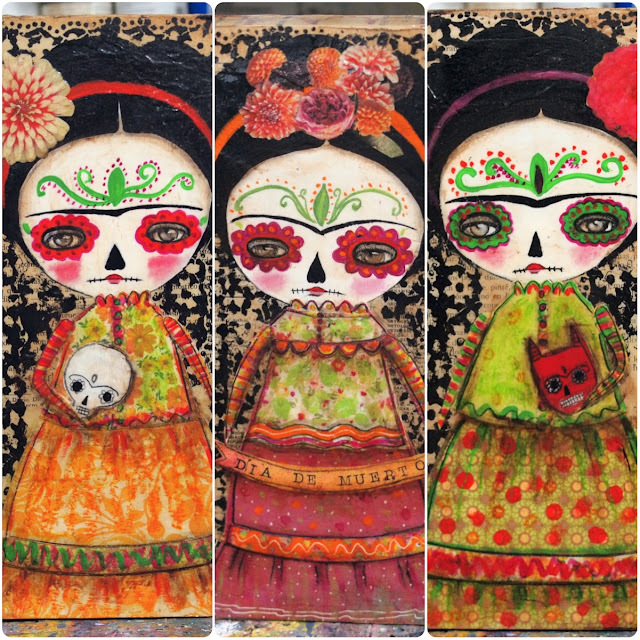 First, I finished the Frida Catrina paintings that I had in progress. 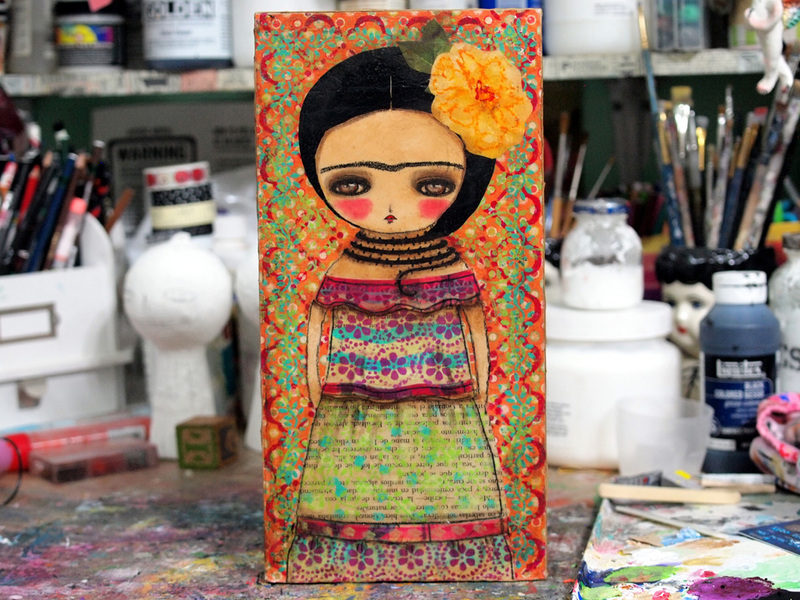 I also finished this one, not a Catrina, but a Frida. 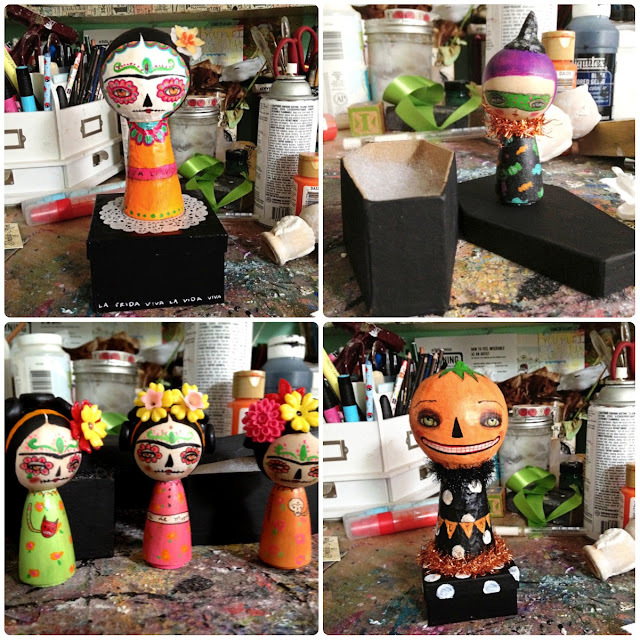 Mini dolls and some bigger ones. I'm still not done with Halloween, I wish I had more time to do all the stuff that it's in my mind! I'll share some more new stuff tomorrow and tell you the time.